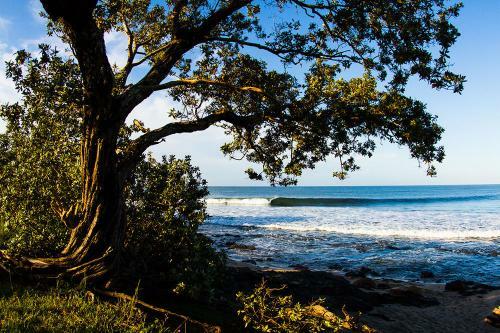 Surf the Americas with us and discover fun peaky beach breaks, rocky outcrops and river mouths while you receive expert coaching in pure paradise. 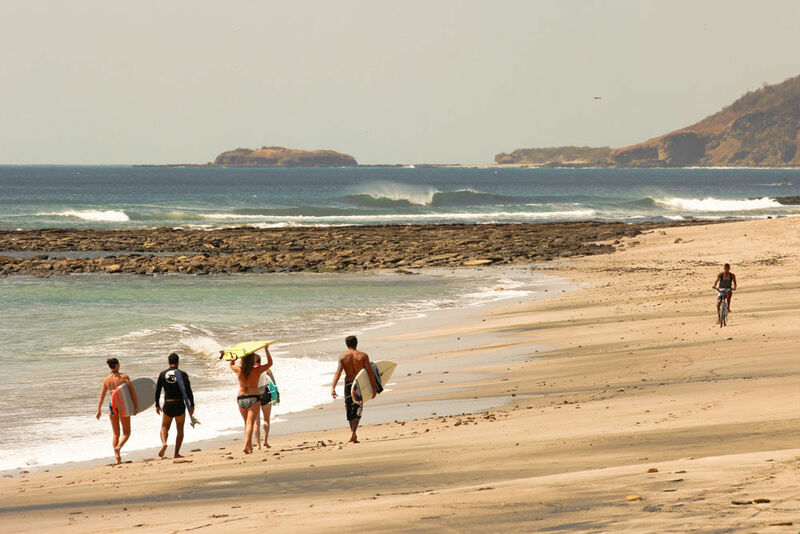 Northern Nicaragua has fantastic waves and we trek jungle tracks, jump in 4 x 4 cruisers and clamber aboard boats to discover the best waves during this epic surfing holiday. Expert surf instructor Jorrin Massingham and his coaches and trained lifeguards hunt down the best waves to run group and one-to-one surf sessions. You can surf ‘til you drop or take your time, cruising along the sandy bottomed and hollow breaks, while enjoying the stunning scenery. We arrange all the logistics, travel, and surf with you every day, making sure you experience the best beaches and waves the area has to offer. 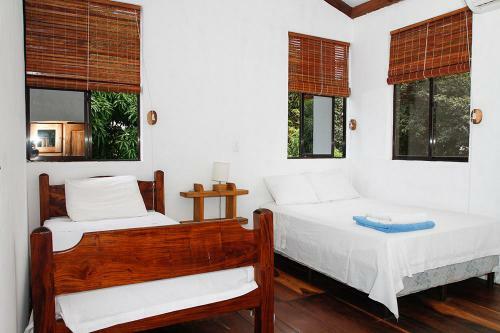 On the first day we meet you at arrivals and make sure you’re comfortable in your surfing accommodation. 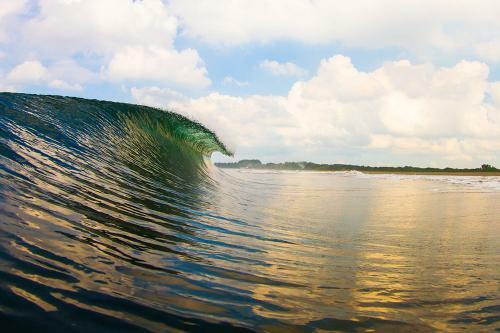 Then we guide you through your surf journey across varied terrain to coach and film you. We also analyse your performance, chat and chill together every evening. 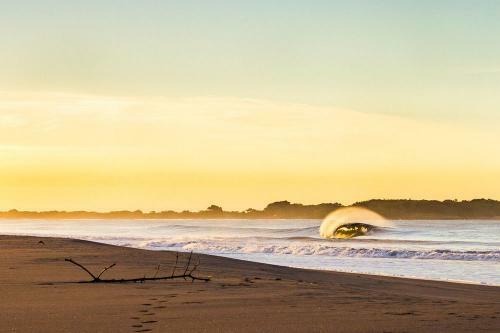 You’ll learn an enormous amount in a chilled-out and positive environment that will help you transform your current surfing skills, and catch more waves. We’ve been cultivating our surf coaching techniques for more than twenty years at The English Surf School – The UK’s biggest surf coaching provider. We’re privileged to coach over 8,000 surfers every year so we instinctively recognise the types of teaching that work best for each individual. Our courses are also crafted by British Surf Team coach, Rob Barber, who’s represented our country at numerous international events. 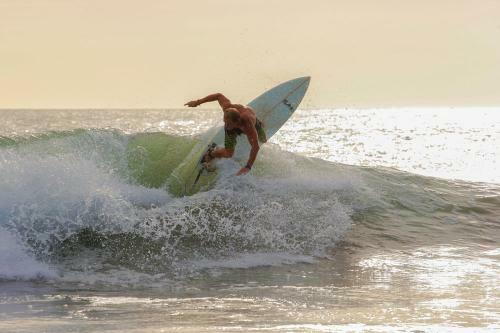 Surfing ace and ISA Level 2 instructor Jorrin Massingham also has stacks of experience, of both surfing and surf coaching, having worked in surf schools across the world from Sri Lanka to The Dominican Republic. You’re in excellent hands. Reside with us in a remarkable sanctuary of calm at our tropical surf lodgings. 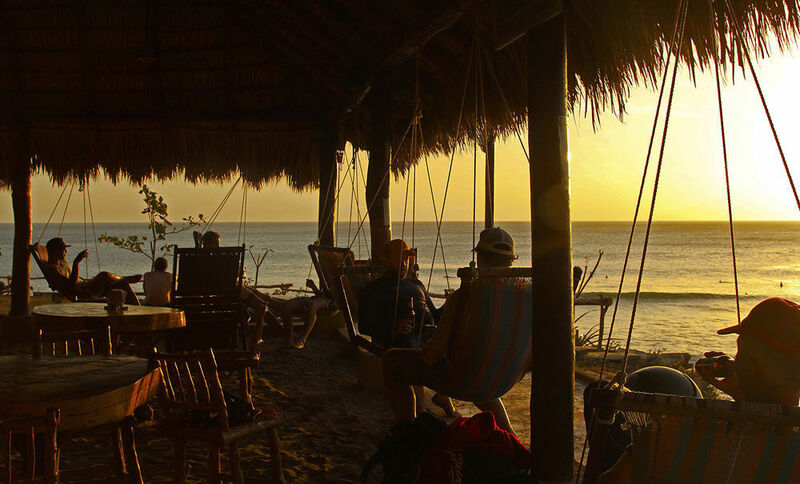 With hammocks overlooking the Pacific, comfy en-suite rooms, a yoga studio and a self-serve bar for spirited evenings, there’s little more you could possibly need. 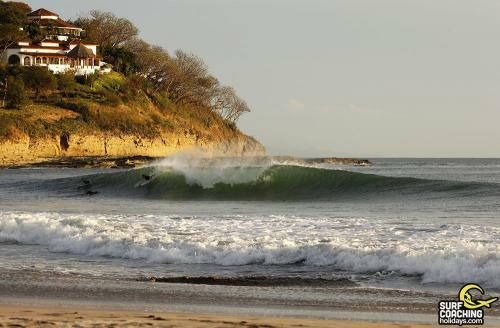 The serene atmosphere makes our Nicaraguan surfing holidays truly memorable. 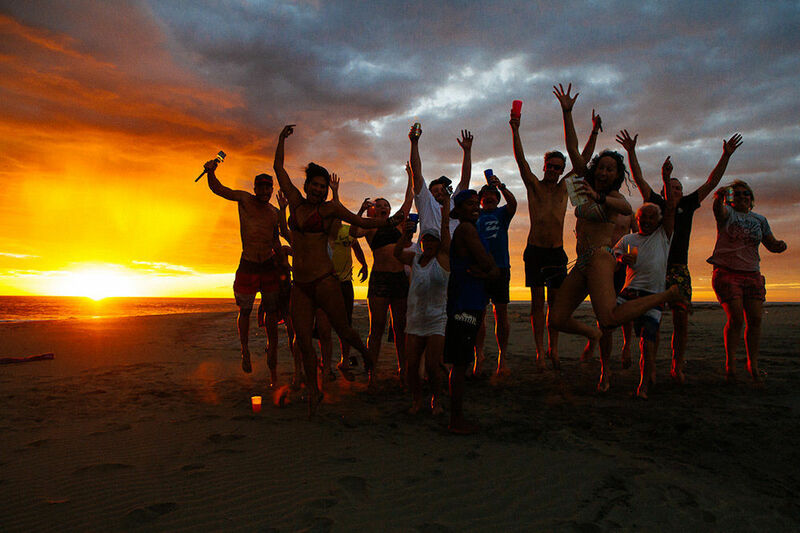 Our welcome meeting involves familiarising ourselves with your surfing ability. 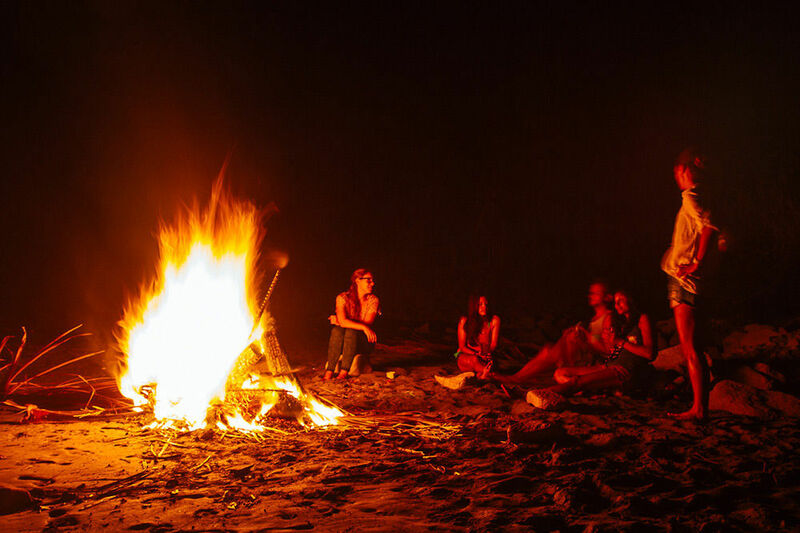 We also chat about your surfing ambitions to create goals for the week. 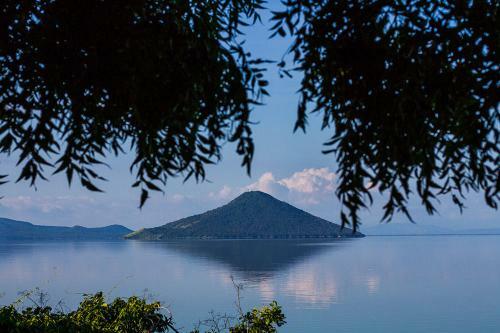 We coach you every morning and afternoon, heading out up to three or four times a day, the week’s itinerary is flexible as we’re at the mercy of the earth’s swell conditions. 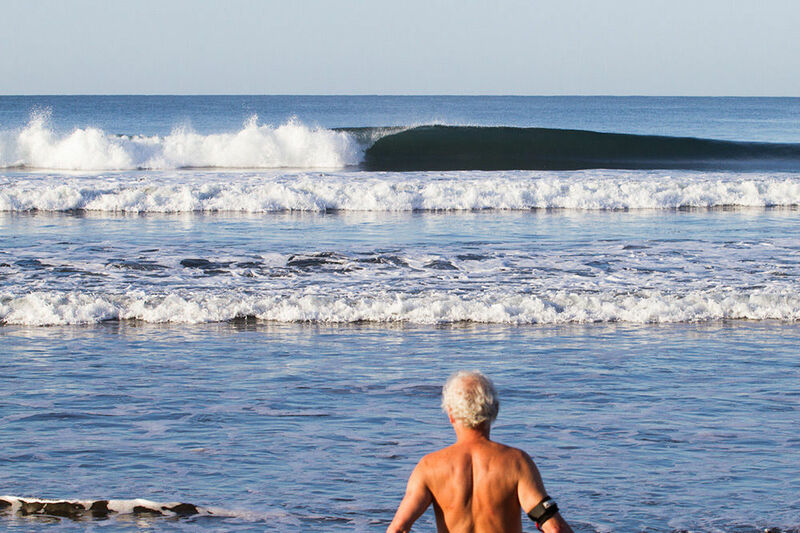 You’ll receive two surf development presentations that tackle problematic issues and we disclose surfing secrets so your performance improves fast. 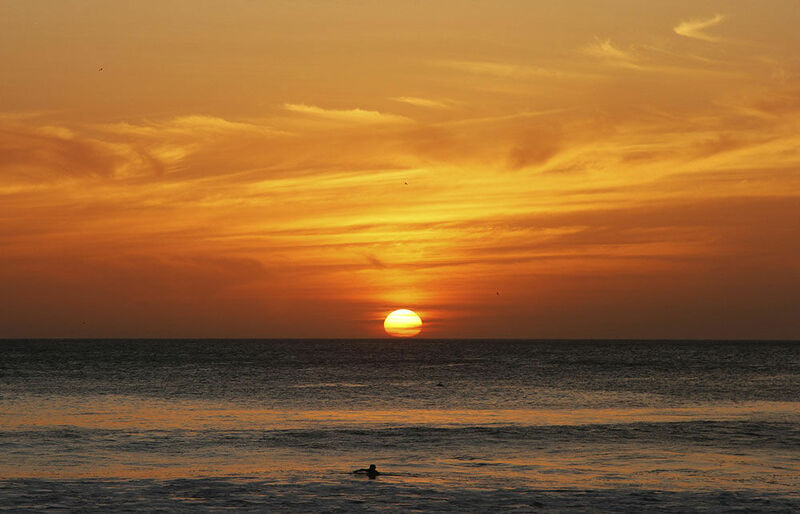 We coach you while duck diving, popping up, paddling out, selecting waves and turning. You can attend sessions that help perfect specific moves, using pre-surf videos to study turns and techniques. 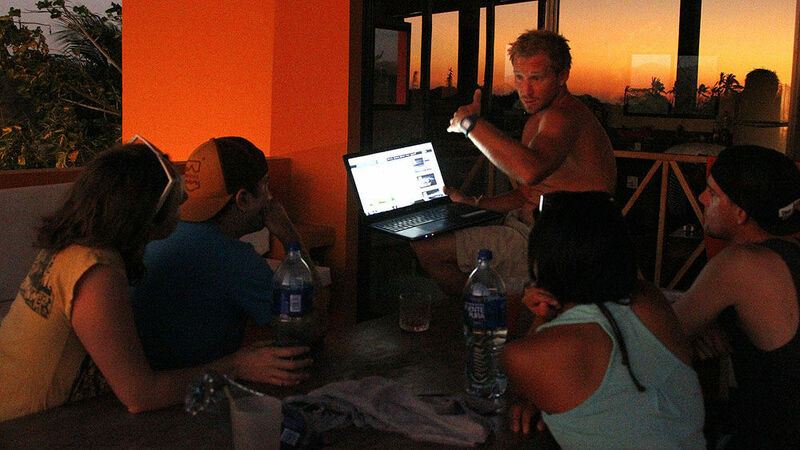 Every evening we review video footage of your surfing (when conditions have been right) and give constructive feedback to help you improve your technique. We also give you free video footage to take home for further self-improvement (land and Go Pro in-water material). 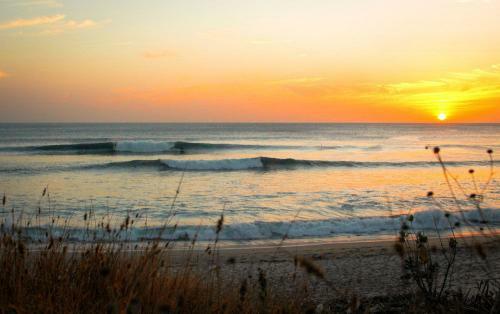 We undertake daily surfaris to find the best waves with the option of surfing from first light. After which we either relax on the beach or have a bite at the surf lodge. 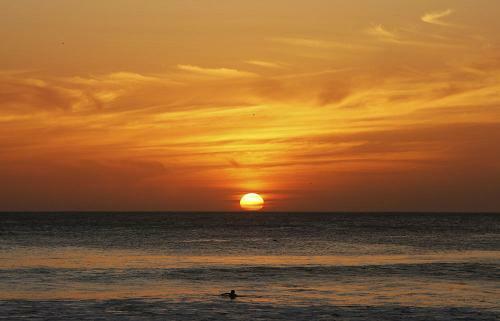 We also head out for afternoon and evening sessions which often wrap up under impressive sunsets. It’s not necessary to attend all of these surf sessions though, it’s your surf trip – you choose the level of intensity. 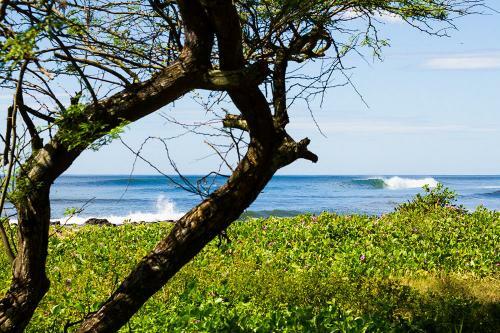 Across from our surf camp is a mellow beach break with no dangerous rocks or crowds. It’s a small and playful sandy beach break. Stretch your legs a little and walk a brief way down a jungle path which reveals a peaky beach break at the start of a mile-long beach. 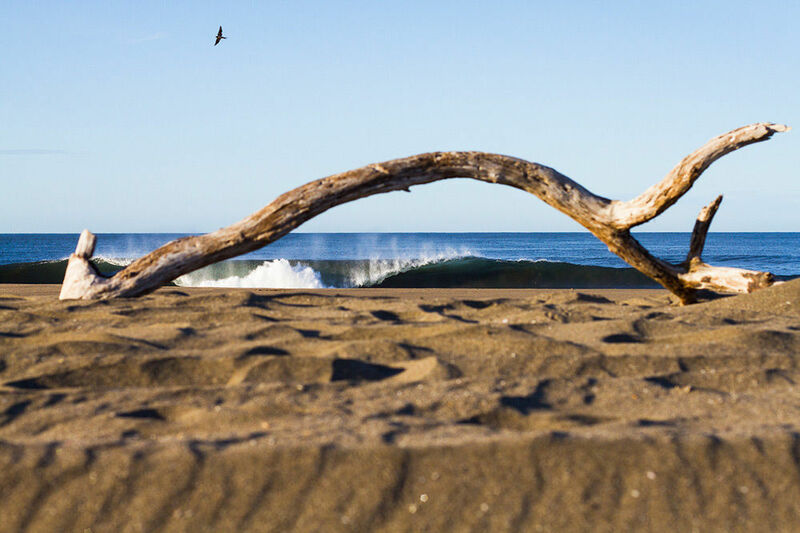 It has so many peaks you can surf completely solo, the middle section is best. 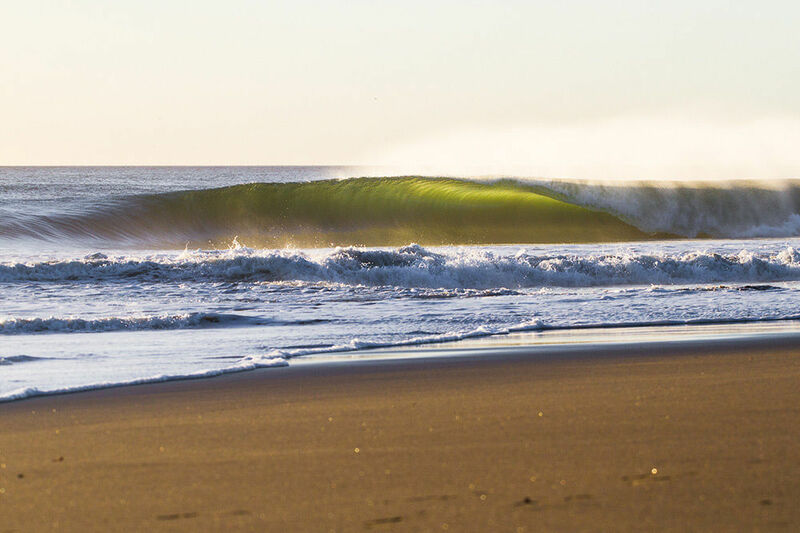 For top quality barrels go a little further along, for about twelve minutes – you won’t regret it. Use footwear on the beach though as the sand gets pretty toasty! 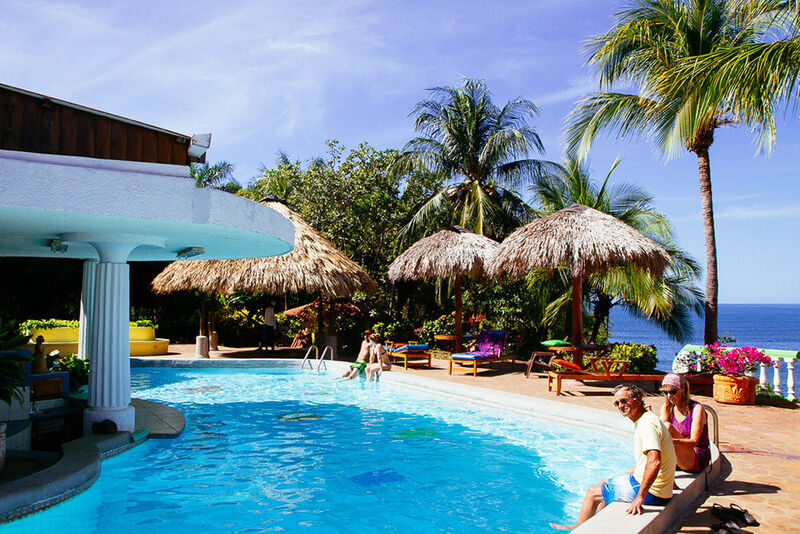 Ten minutes from the surf lodge is an island that has a running left-hand point. This offers fun, rippable walls and the occasional barrel. 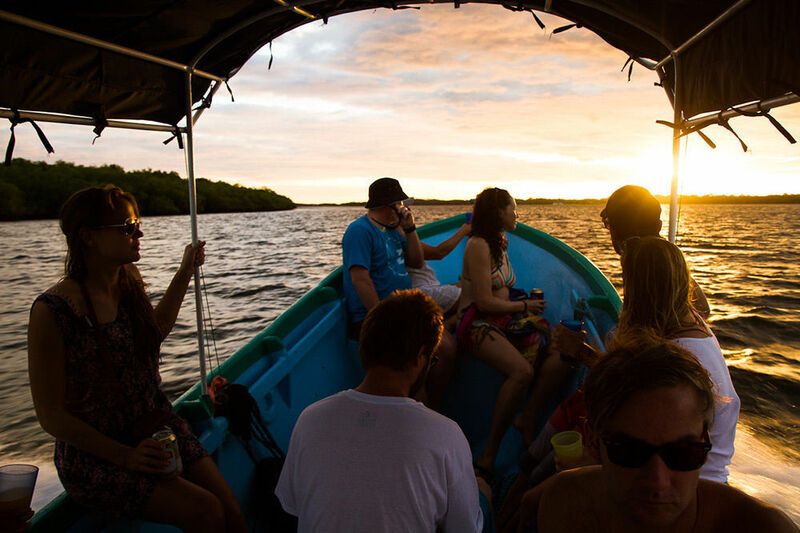 To get there we hop on a boat and marvel at the beauty of Nicaragua’s verdant coastline. We also take land cruisers out, up and down the coast, to discover and surf fun beach breaks, peaky shories, rocky outcrops and river mouths. 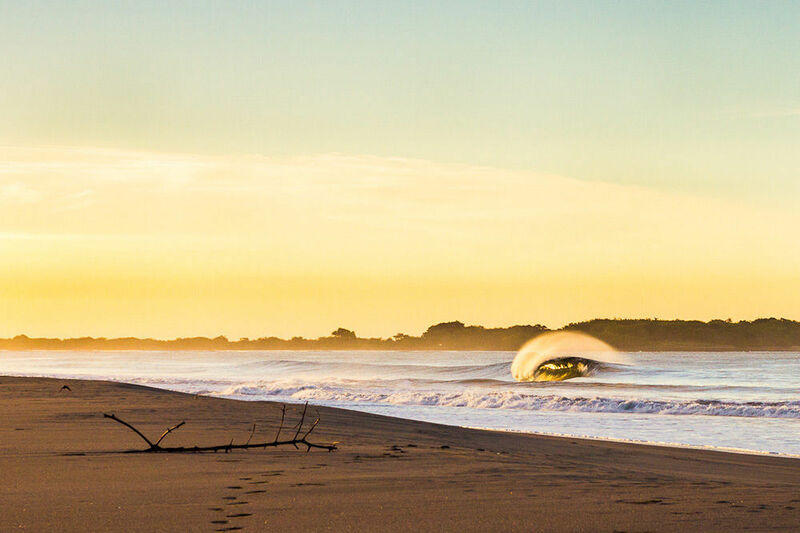 The scenery here is truly mesmerising with plenty of uncrowded surf spots from which to choose. 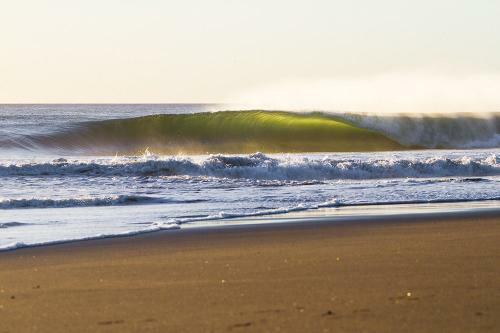 Warm water barrels are predominantly in abundance on this extraordinary stretch of coastline. January is dry season so the heat is tropical but not unbearable or sticky. The coastal breeze can be fresh at times in the morning but rash vests, board shorts, bikinis and flip flops form everyday attire. Around midday the wind sometimes turns onshore so the waves aren’t always at their best during this short period. 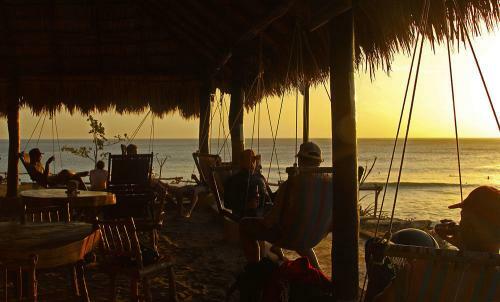 A lot of surfers choose to relax and head for a hammock with a good read. 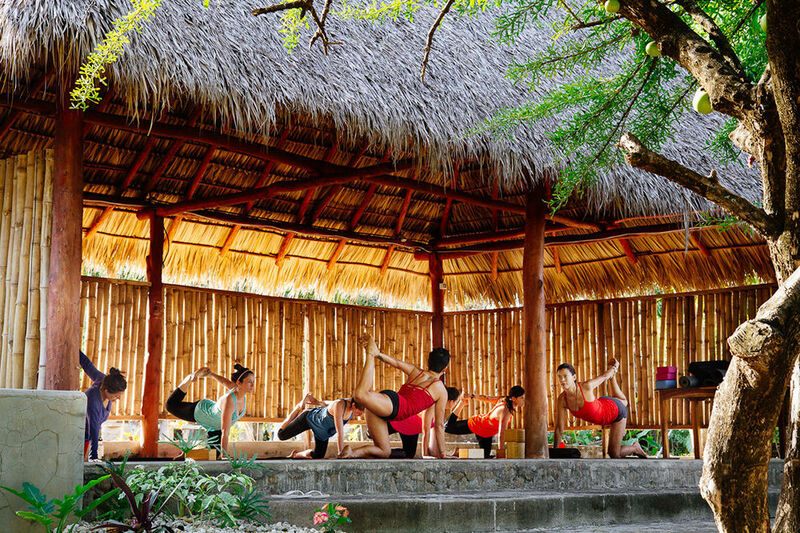 Others prefer to have a dip in the surf lodge pool or stretch and unwind at a peaceful yoga session. Some of these activities may incur costs. 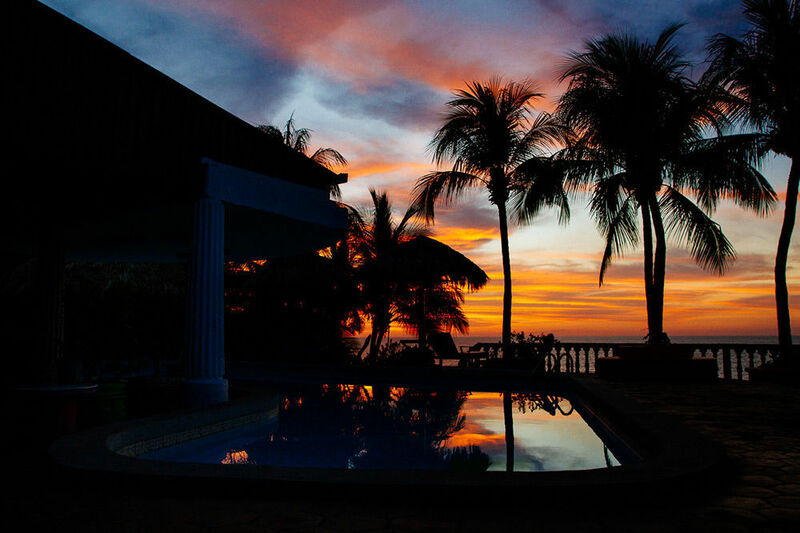 Check out flight prices and availability then email or give us a call. We’ll let you know if we still have spaces as they book up quickly. We’ll then email you an information pack form and further details about the trip. 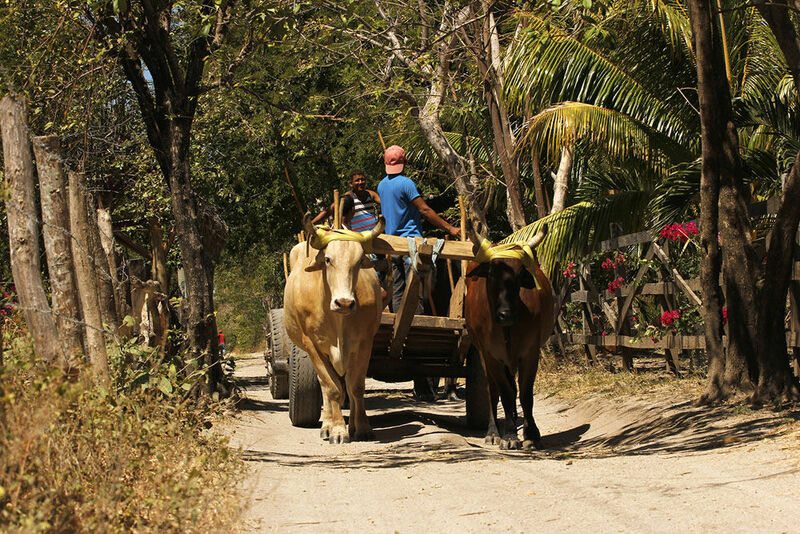 You will need to find your own way to Managua airport in Nicaragua. We will meet you at the airport and then help you to settle in to the accommodation. Please request an information pack for further details. 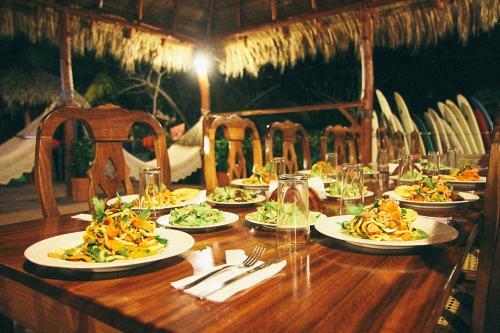 Three healthy meals, snacks and drinks are provided by the camp each day. With great vegetarian options and good size plates to fill your appetite you’ll love the freshly prepared local produce each meal offers. The food and drink package is $35 USD a day. You will need to pay upon arrival to our hosts. Good Times! 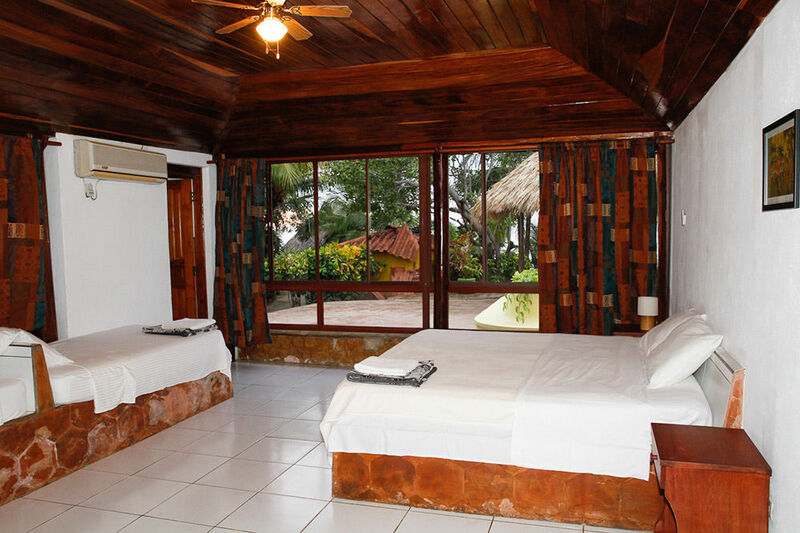 With a great place to stay all you need to think about are the waves. Enjoy the beauty of Nicaragua, its peace and quiet and the incredible traditional way of life. Places book up fast so act quickly! To find out more and to book your place get in touch. We’ll email you an enrollment form, an information pack, a kit list and FAQs.